(+1) 403 455 2468 info@eomcanada.com Course begins on 14th February 2019. Originally from the United Kingdom, Bryan first worked as a lawyer before spending time with the Metropolitan Police. 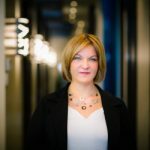 After immigrating to Canada some twenty years ago he then was employed as the chief operating officer of a manufacturing company based in Kuala Lumpur, Malaysia. Whilst there he experienced many of the “alternative” and more holistic based therapeutic treatments that were commonly available. Notably, the massage therapy offered by students of the massage school for the blind. He found the touch and benefits given by these practitioners to be superior to any offered by sighted massage therapists. After returning to Canada he was not able to experience that same degree of treatment but then by chance happened across Champissage. After receiving this type of massage he investigated further and found out that the originator of the system, Nahendra Mehta, was himself blind. He decided to explore the therapy more seriously and undertook the course offered by the London School of International Champissage. After successfully completing that he went on to complete other courses offered by the school in Natural Face-lift Massage and Ayurvedic foot massage. Recently he also completed the Dien Chan facial reflexology course offered by the International School of Multireflexology that is based in Barcelona. He takes much pleasure and satisfaction from seeing the clear, beneficial effect that his therapies have on his clients and counts it as a special bonus when they have to be woken up at the end of a session! He looks forward to taking the time to explain these benefits to his clients, as well as having them directly experience the effects themselves, and snoring is permissible. 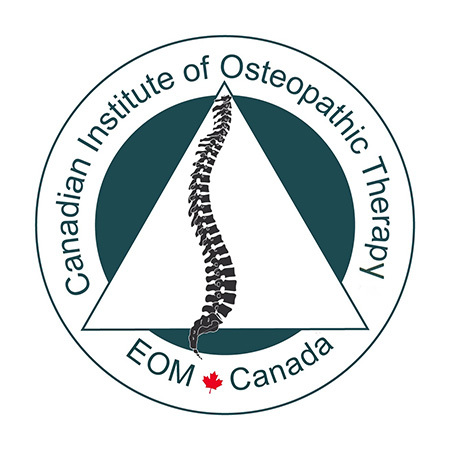 The Canadian Institute of Osteopathic Therapy offers Osteopathic training for health professionals with a 4-year related Health Degree, such as physiotherapists, kinesiologists, etc. CIOT also offers a pre-course evaluation and examination to registered massage therapists with 2200hrs or more. The course is scheduled to begin 14th February 2019. Are You Interested In Transferring Between Branches Of EOM? The Program Is The Same Wherever It Is Taken. Including Clinical Studies. © 2019 Osteopathy Calgary. All rights reserved. Created by REZ//ART.